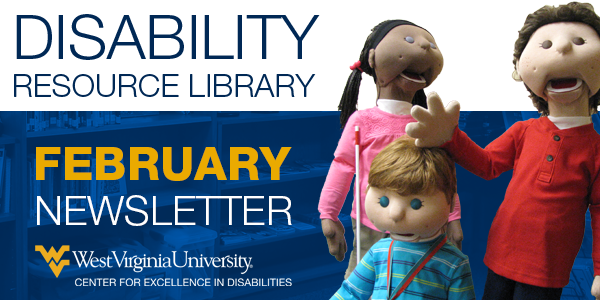 This month's Disability Resource Library newsletter focuses on resources about Appalachia from our library and offers a reminder that winter is a great time to enjoy the outdoors. Much has been written about the region and an endless stream of pictures and films have been made in or about the region. West Virginia is unique in that all 55 counties in the state fall within the Appalachian Regional Commission's boundary of Appalachia. Our staff at CED work to meet the needs of all our clients in this culturally unique region. To browse more resources, click here. Did you know West Virginia offers a wide variety of outdoor activities for people of all abilities? Adaptive skiing programs are just one of several ways to get outside even in wintertime. Snowshoe Mountain Resort (Pocahontas County), Canaan Valley (Tucker County) and Timberline Resort (Tucker County) offer adaptive skiing programs. In 2016, headlines declared Appalachia ground zero for America's "forgotten tribe" of white working class voters. This book is a frank assessment of America's recent fascination with the people and problems of the region. The book analyzes trends in contemporary writing on Appalachia, presents a brief history of Appalachia with an eye toward unpacking Appalachian stereotypes, and provides examples of writing, art, and policy created by Appalachians as opposed to for Appalachians. Borrow What You Are Getting Wrong About Appalachia from our library. Appalachia has played a complex and often contradictory role in the unfolding of American history. Early-twentieth-century critics of modernity saw the region as a remnant of frontier life, a reflection of simpler times that should be preserved and protected. However, supporters of development and of the growth of material production, consumption, and technology decried what they perceived as the isolation and backwardness of the place and sought to "uplift" the mountain people through education and industrialization. Borrow, Uneven Ground: Appalchia Since 1945 from our library. Based on the historical and social events of the West Virginia coal mine wars of 1920-1921, the book imagines the stories of miners, their wives, children, sisters, and mothers; of mountaineers, Italian immigrants, and Black families. These people organized for safe working conditions in opposition to the mine company owners and their agents. Fisher listened closely and the result is a book of vivid, rhythmic, heartfelt poems that address a violent time with honesty, levity, and compassion. Borrow Kettle Bottom from our library. Filmed in the coal country of West Virginia, Matewan celebrates labor organizing in the context of a 1920s work stoppage. Union organizer, Joe Kenehan (Chris Cooper), a scab named "Few Clothes" Johnson (James Earl Jones) and a sympathetic mayor and police chief heroically fight the power represented by a coal company and Matewan's vested interests so that justice and workers' rights need not take a back seat to squalid working conditions, exploitation and the bottom line. Borrow Matewan from our library. Blood on the Mountain focuses on the environmental and economic injustice and corporate control in West Virginia and its rippling effect on all American workers. This film tells the story of a hard-working people who have historically had limited choices and have never benefited fairly from the rich natural resources of their land. The failure to diversify the economy has insured control by outside, unrestricted corporations with the support of politicians kept in their positions by these very same companies. Borrow Blood on the Mountain from our library now. At the dawn of the 20th century, coal was the fuel that powered the nation. Yet few Americans thought much about the men who blasted the black rock from underground and hauled it to the surface. The Mine Wars tells the overlooked story of the miners in the mountains of southern West Virginia — native mountaineers, African American migrants, and European immigrants — who came together in a protracted struggle for their rights. Decades of violence, strikes, assassinations and marches accompanied their attempts to form a union, culminating in the Battle of Blair Mountain in 1921, the largest armed insurrection since the Civil War. The West Virginia mine wars raised profound questions about what freedom and democracy meant to working people in an industrial society. Borrow The Mine Wars from our library. In this course, providers will receive an overview of the central Appalachian region, its history, culture, and values. In addition, we will examine work practices that will build rapport with clients and communities throughout the region. Any social service provider working in rural communities can benefit from this training. Registration is free. Social work, counseling, psychology and nursing CEUs are available. For more information, call Roger May at 304-205-6434 or email roger.may@hsc.wvu.edu. School counselors can give your child tips and support on solving problems and making good decisions. They know how to listen and help. If your child feels overwhelmed by classwork; is worried about a friend; feels like they don’t fit in; or is scared because parents are splitting up, your school counselor can be a great place to start. Your school’s website may explain more about the role of the counselor at your individual school and how to get a counseling appointment. This month's Child's Champion is Canaan Valley Resort's Adaptive Ski Program. Canaan Valley Resort has a unique and long-standing relationship with Challenged Athletes of West Virginia. Working together, they provide people with disabilities of all ages better opportunities to enjoy the slopes. Canaan Valley Resort has access to highly specialized equipment such as sit-skis, sliders, and stand-up outriggers necessary for amputees, people with paraplegia, and others to enjoy skiing. Instructors from both Canaan Valley Resort and Challenged Athletes of West Virginia work with adaptive skiers. Each instructor brings a positive and caring attitude to the Adaptive Ski Program. The instructors’ love for skiing and teaching make learning this sport a great experience for people of all abilities. Some instructors have more than 30 years of experience teaching ski lessons to people with disabilities. Learn more about Canaan Valley Resort's Adaptive Ski Program.